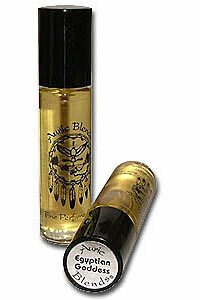 Auric Blends Egyptian Goddess Perfume Oil offers a seductive and soft scent. Egyptian Goddess perfume oils fragrance blends musk with soft floral notes and powder. Egyptian Goddess is an Incense2Go.com favorite! !